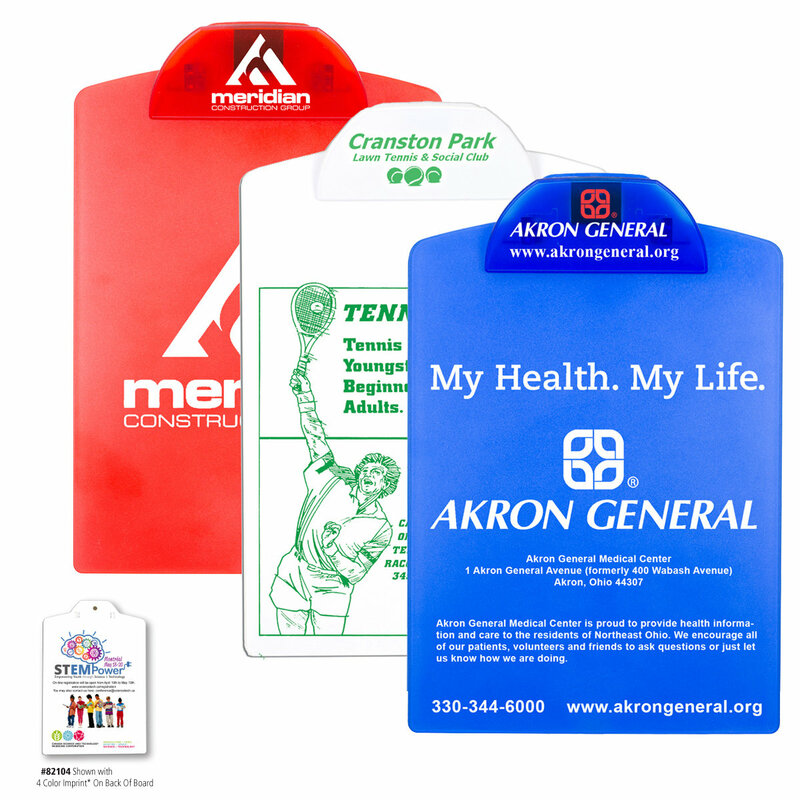 This clipboard features three imprint areas: the clip, the front of board, and even the back of board, which can also be imprinted with 4 Color Process. Price includes one color imprint on clip. Spot Color Setup Charge: 55.00 per color, per location. Additional Colors: add running charge on price chart, plus set up charge. Optional *4 Color Process Available only on Back of Board:add running charge on price chart. Setup Charge: 60.00. Available only on back of board. PMS Color Match Charge: 32.00 per color. Price Includes: one color imprint on Clip Only.